Mobile Marketing isn’t the next big thing, it’s already here. Mobile websites, mobile email, mobile apps, text messaging, SMS, MMS and more…all ways you can reach and engage your ideal customer…but where do you start and how do you move forward? To answer those questions we reached out to Greg Hickman, the man behind Mobile Mixed, a blog and podcast all about mobile marketing. Mobile is too big to be ignored, and it impacts your search visibility, your social engagement, and just about every other aspect of your digital marketing. If you’ve wanted to jump in, but you’re not sure where to start, you’ll want to tune in to this week’s episode of The Marketing Agents Podcast. Reason One You Need a Mobile Site: If you’re already engaging people on Facebook, Twitter, Instagram and other social media channels, likely you’re engaging them on a mobile device. That means they’re one click away from your website. If it’s not mobile optimized, you’ve lost them. Reason Two You Need a Mobile Site: Google is penalizing websites that don’t have a mobile-friendly experience. Even if you don’t think your audience is arriving via a mobile device, you may be hurting yourself by not being prepared. Is Responsive Web Design (RWD) Right for Your Site? RWD may not be right for you for small business. You may be able to cater to a mobile user better with a mobile-specific site, rather than a RWD site. When is RWD Right? RWD may be best for content centric businesses, where all the content needs to be mobile optimized. How Does Mobile Impact Email Delivery and Opens? We often use mobile devices as a last line filter against unwanted or unnecessary emails. To overcome this, put your best keywords right up front in the subject line, and test send times to avoid being a victim of early morning mobile purges. Should You Use Text Messaging? Text messaging has an immediacy and deliverability rate that’s unlike any other. It can also reach feature phone users. Treat it like an email opt-in list for best results. How Should You Use QR Codes? You can’t build a list via QR codes directly. Use them to provide additional value to the user if you want to build trust. Should My Small Business Build an App? Only consider an app after your mobile website is built, and only if you have “loyalists,” people who need regular updates/contact with your business. And don’t just duplicate your website into an app. The Agents of Change Digital Marketing Conference: Whether you come to Maine or watch in the comfort of your own home or office, be sure to check out the 2nd annual conference all about search, social & mobile marketing! Save $25 on your physical or digital pass with the discount code TMAP. WP Touch Pro: The WordPress plugin that creates mobile friendly sites. 5 Reasons Why RWD Is Bad For Your Small Business: A popular/controversial post on RWD. Tatango: SMS Text Messaging Software. Waterfall Mobile: Text messaging platform. Mogreet: SMS & MMS services for small business. Lead Pages: Popular online tool for capturing leads. 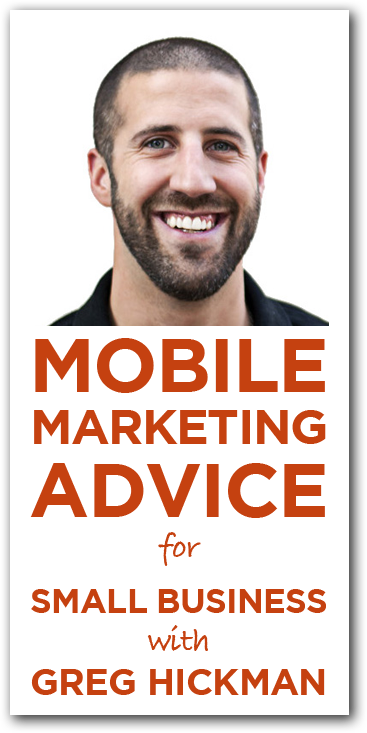 Mobile Mixed: Greg’s blog and podcast on mobile marketing. Definitely check it out! Greg Hickman on Twitter…worth a follow! SlideShare Marketing: How to reach and engage professionals, generate leads and build your business with SlideShare. One of my favorite new content marketing discoveries is SlideShare, the underappreciated content sharing platform owned by LinkedIn. It’s actually more of a re-discovery, as I’ve been using the platform for years. However, with some new lead generation tools, measureable ROI (return on investment) for users, and a surge of interest from marketers, I’ve been dedicating more time and resources towards SlideShare over the past couple of months. 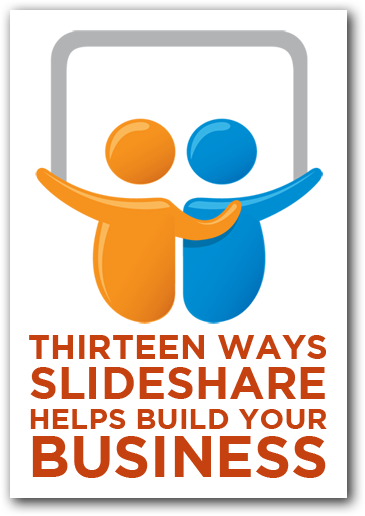 If you’ve never heard of SlideShare, think “YouTube for PowerPoint.” However, even if you don’t generally get up in front of a crowd or put on webinars, SlideShare is a powerful platform for reaching more of your ideal customers. 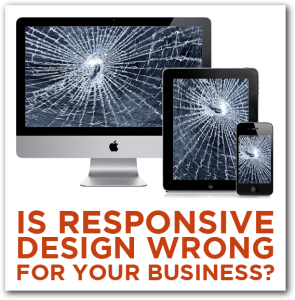 Responsive web design is the darling of the web design industry…but is it right for your next project? By 2014 more than half of the web traffic will be delivered over a mobile device. If your website isn’t optimized for mobile, most of these visitors will bounce from your website like a quarter on a military cot. If you talk to just about any web developer these days about developing a mobile website, they’re going to try and sell you on designing a responsive site. But what’s good for them might not be right for you.